If you read any of my previous blog entries, you must be now familiar with this 'express installation' concept we have in Boxes. Its pretty neat actually, you just set a few options at the beginning and then you can leave Boxes (or your machine) and when you are back, everything is setup for you automatically in a new box. I have invested a lot of time/efforts on this already and will be spending a lot more time in future as well but I am just one man so can not possibly cover all operating systems out there. That is why I am asking for help from anyone who will be interested in adding express installation support for Ubuntu and Debian while I focus on Fedora and Windows variants. Oh and if you are interested in adding support for some other distribution/OS, that contribution will also be more than welcomed. In any case, happy hacking! A nicer UI for deletion of Boxes designed for protecting the user from accidental deletion of boxes. Here is a video demo of it in action. Special handling of 'live' and unknown media: Quick launch of a temporary box for it, which is made permanent automatically (only) if anything is installed on the box by the media. Here is a video demo of this behaviour in action. Express installation for Windows XP now works, thanks to important clues provided by Lucas Meneghel Rodrigues. Don't believe me? I have video footage that proves it. 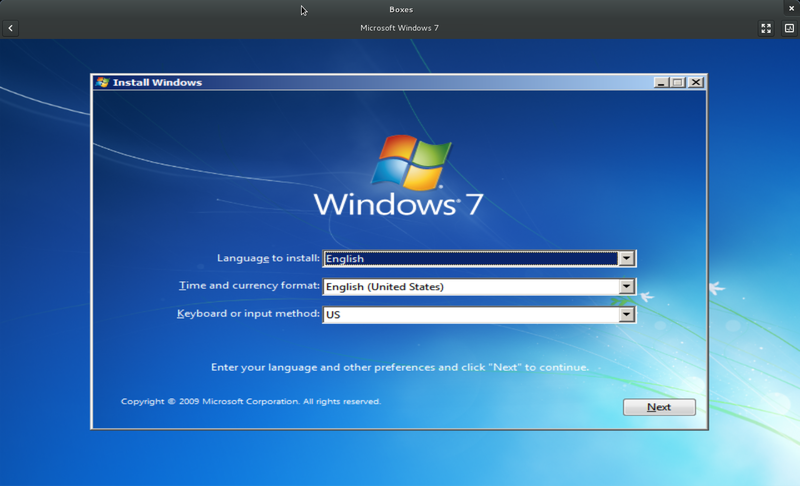 UI for setting user and administrator password and in case of older Windows, ability to set product key as part preparation for express installation. Please check out the videos above for demo of this feature in action. Apart from changes in Boxes itself, there were some note-worthy changes in our dependencies that helps us directly. Christophe Fergeau added a big bunch of new APIs to libvirt-glib (libvirt-gconfig to be precise) for dealing with libvirt's configuration XML. Now Boxes uses that instead of manually writing/editing XML strings. A Google Code-In participant, Mateusz Kaplon added a lot of data about various different operating systems to libosinfo. For Boxes that means more complete and reliable detection and default resource allocation for various operating systems. For a detailed list of changes in Boxes 3.3.3, please refer to the release notes. Dear readers! 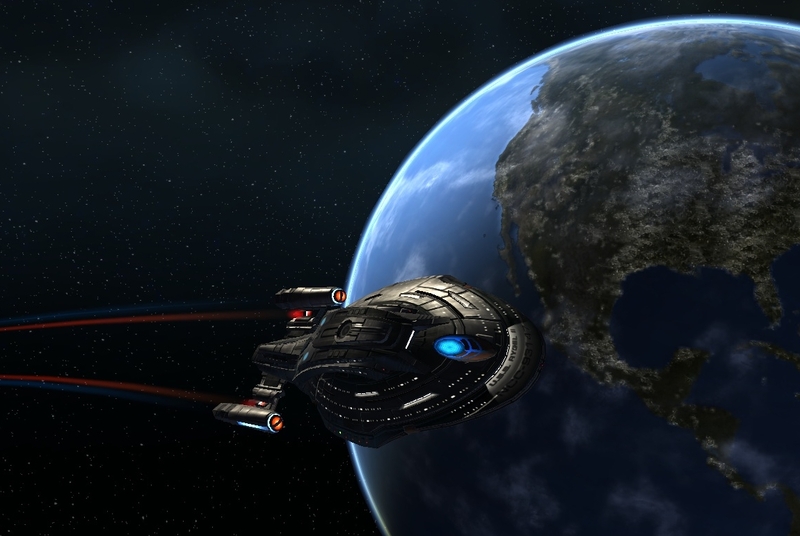 If you recall, in a blog post not so long ago I introduced you to the wonderful virtual world I now live in. 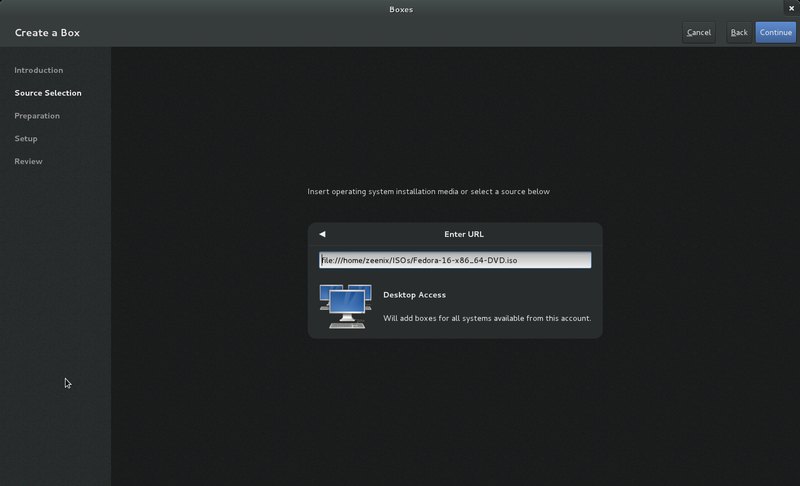 Now around the same time I wrote that post, some of the GNOME designers and developers (myself included) felt the need for having a UI as an integral part of GNOME that lets users easily manage (create and destroy) virtual machines and at the same time lets them connect to remote machines. Two of our awesome designers, Jon McCann and Jakub Steiner) started creating design for this UI. We (as in Jon McCann) named it 'Boxes' as its something that deals with..hm.. boxes. 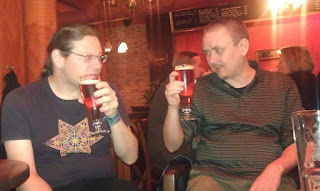 At the same time, we (me, Marc-Andre and Christophe) kept working on the foundations for Boxes, mainly in the form of lots of improvements to libvirt, libvirt-glib, libosinfo and spice-gtk. About less than a month ago we started implementing the design when the design stabilized a bit. The implementation actually started as a "proof of concept" from Marc-Andre over a weekend. The result was already so good that we decided to move it to git.gnome as the bases for Boxes' implementation. While most of the credit for the UI goes to Marc-Andre, I think he will agree that it wouldn't have been so easy to get this started so quickly if we hadn't chosen to write this in Vala. And if that gets you excited, you'd want to see this screencast where I show Boxes in action. After a few days of tiring work on fixing critical issues in Boxes and its dependencies we finally managed to roll-out our first release. You are more than welcome to try it out already and report any issues you find but please keep in mind that at the moment we require the latest (unstable in many cases) releases of our dependencies to be able to make use of their latest features. If you happen to be a jhbuild user, you are in luck as building boxes is as easy as typing `jhbuild build gnome-boxes`. virt-manager is an awesome tool and I myself use it everyday. I am sure other Boxes hackers are using it on daily bases as well. However we must keep in mind that the UI we were looking for in GNOME is not meant for enterprise-level system-administrators who have hundreds of mission-critical virtual-machines on an array of super computers but rather a typical end-user who just wants to connect from his laptop to his work machine(s) and/or try different operating systems. While virt-manager is undoubtedly the best choice for the former, its not at all tailored for the latter. It should be noted that while we decided not to use virt-manager for the UI, we still are trying our best to share as much code base/efforts with virt-manager as possible in terms of infrastructure, mainly in the form of libvirt, libosinfo, qemu and spice-gtk. Boxes is still in its infancy so you might find a lot of issues in Boxes and its dependencies but one issue that is a big show-stopper at the moment is the breakage of floppy support in recent Qemu. Boxes depends on floppy-support for making automated/express install possible for both Linux and Windows. Fortunately the issue is already fixed in git master of Qemu and its just a matter of releasing and packaging by distributions. libosinfo: This library is our store for information on operating systems and means to detect operating systems from installation media. libvirt-glib: libvirt-glib wraps libvirt to provide a high-level object-oriented API better suited for glib-based applications. While Boxes is written in Vala, these libraries are completely written in C so if you are a C hacker and want to contribute, these would be good places to start with. While most of the work needed on libosinfo is that of populating its database with information on all kinds of operating systems out there, libvirt-glib still lacks a lot of needed API. One particular part of libvirt-glib that needs the most work and is of highest priority to us is its API to deal with libvirt's configuration XML. 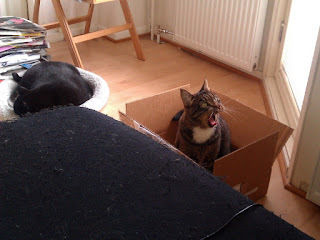 We all love boxes, don't we? major work item that is just beginning. indirectly via AMQP, CIM or another API transport which accepts XML documents. from any language which can dynamically import objects via introspection. we are *NOT* guaranteeing that libvirt-glib libraries are API/ABI stable. this will be within the next 6 months in order to line up with Fedora 17. Thanks to all the people involved in contributing to this release. The first release of libosinfo is out! (PyGObject). Also provided are Vala bindings. libosinfo is Free Software and licenced under LGPLv2+. 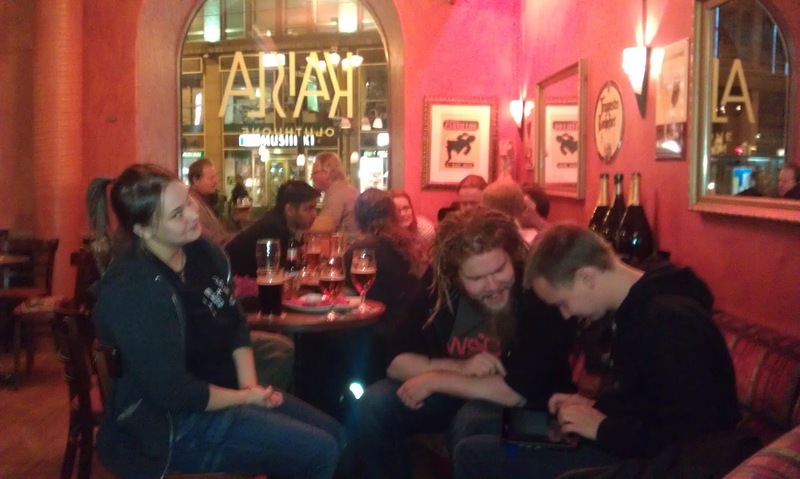 GNOME 3.2 party in Helsinki! The party turned out to be a lot more successful than I thought. I thought only a few people will show-up since there aren't that many gnomies around that I know of. We had lots of nice discussions on various topics especially the future of GNOME and Free SW in general. 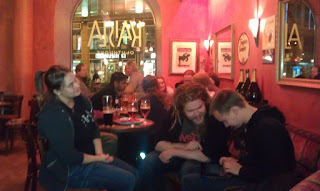 One of the participants was very interested in having some way to write UIs that work for both big screens and tiny screen of his Openmoko mobile phone, which turned out to be quite an interesting discussion. Taking the EXOPC running Fedora 16 with me was indeed a good idea since almost every participant wanted to see how it works. Although I had to keep telling/reminding everyone that on-screen-keyboard in gnome-shell is not exactly finished, I noticed that people were pretty much already able to use GNOME 3.2 with a touch-only interface. The biggest issue people encountered wasn't the OSK though but the bad touch-screen on the tablet. If you happen to be in Helsinki tomorrow (Wednesday) evening, don't forget to drop-by at Kaisla to celebrate the awesome GNOME 3.2 release with us. Not only you will get to hang-out and have beers with other cool people in town but also get to try out GNOME 3.2 on a tablet. If you have never been to Kaisla before, this is one bar you must visit if you are interested in beers as they have a rather decent collection of beers from different countries. See you tomorrow at 8pm there! Got a red hat? Check! I finally got my (long awaited) hat! I have a talk where I'll attempt to brain-wash educate the masses about the awesomeness of Vala language. If you are even slightly interested, please do attend. 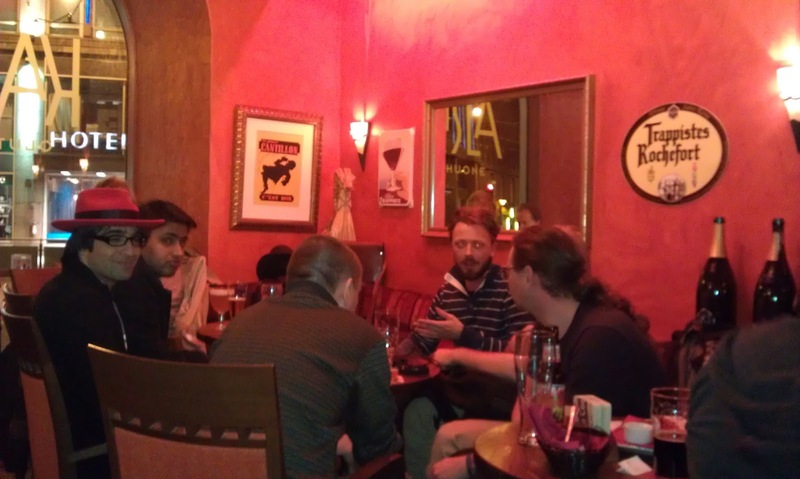 I also have arranged a BoF together with KDE's Friedrich Kossebau to discuss about the possibility of SSDP (discovery protocol used by UPnP) as a system service. See you in Berlin soon! Slightly more on virtual world..
Forgot to mention in my last blog post that SPICE is not just more efficient at network bandwidth utilization but is also much more faster/responsive. Also, Jon Nordby pointed out that the screenshots of virt-manager I copied from virt-manager website are several years outdated. Here is how the main UI looks like now a days. Welcome to the virtual world! About two months ago I informed the followers of this blog that I will now be working on SPICE project for Red Hat. Judging from the questions I was asked after that, I realized that not many people know about SPICE so I thought I write at least one blog entry dedicated to explaining what SPICE is all about. Before I get to SPICE itself, let me first introduce you to the world SPICE lives in. "Virtualization, in computing, is the creation of a virtual (rather than actual) version of something, such as a hardware platform, operating system, a storage device or network resources." "A virtual machine (VM) is a "completely isolated operating system installation within your normal operating system".Today, this is implemented by either software emulation or hardware virtualization". Developing/testing software for hardware that you do not have. This makes virtualization softwares were attractive for consumer product manufacturers to be able to start the development of software soon after the plans for a particular product are finalized since it takes some time before they can manufacture enough prototypes for every developer and tester involved. Portability: In a typically VM setup, installation is done on drive images (files) rather than actual drives/partitions, which means you can carry or send your (virtual) machine anywhere you like. 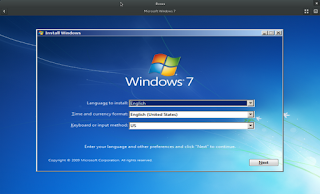 Ability to use multiple operating systems at the same time: Many Linux and Mac OS X users often need to run applications that are only available for windows and vice versa. Dual-boot is one solution to this issue but that implies you will only be able to use one OS at a time. Partitioning of a single host to multiple servers: Consolidation of many servers to a single host is a popular use case these days, done internally in many companies and also by hosting services. aka “The Cloud”. 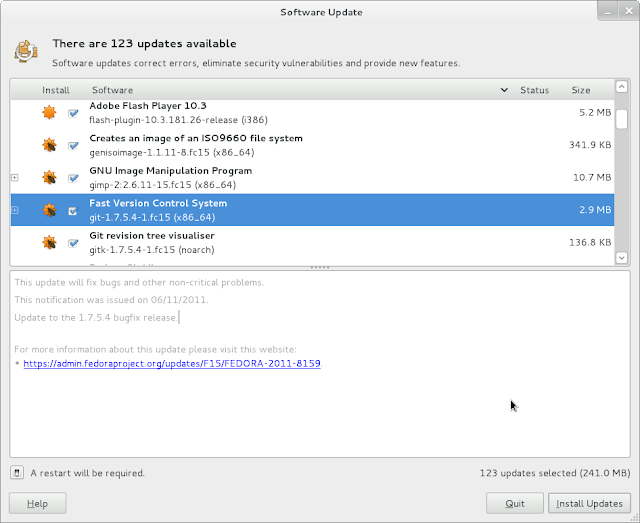 Despite its big drawback, traditionally dual-boot has remained to be the preferred solution for many for a long time. The reason for that has mainly been the limitations of virtualization solutions, especially in terms of performance. However due to significant improvements in both hardware (built-in virtualization support and multi-core) and software, virtualization solutions have been gaining a lot of popularity lately. There are many such solutions out there, both Free and non-Free out there but the solution of our choice is Qemu. 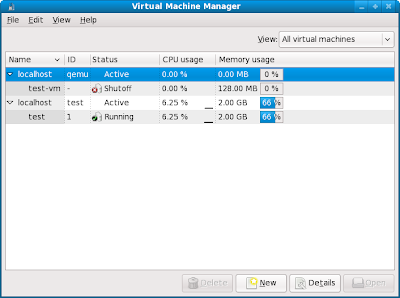 This awesome virtual-machine manager (a.k.a hypervisor) combined with Kernel-based Virtual Machine (KVM) and built-in virtualization extensions in modern CPUs is capable of providing such a virtual environment that puts the real thing to shame. 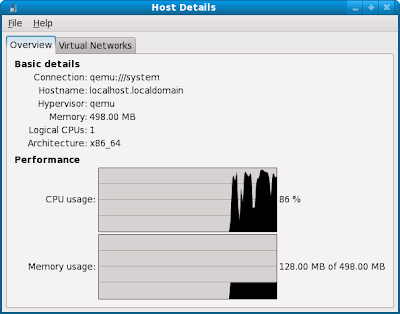 Manipulation (creation, deletion and modification etc) and monitoring etc of virtual machines on remote hosts, securely. 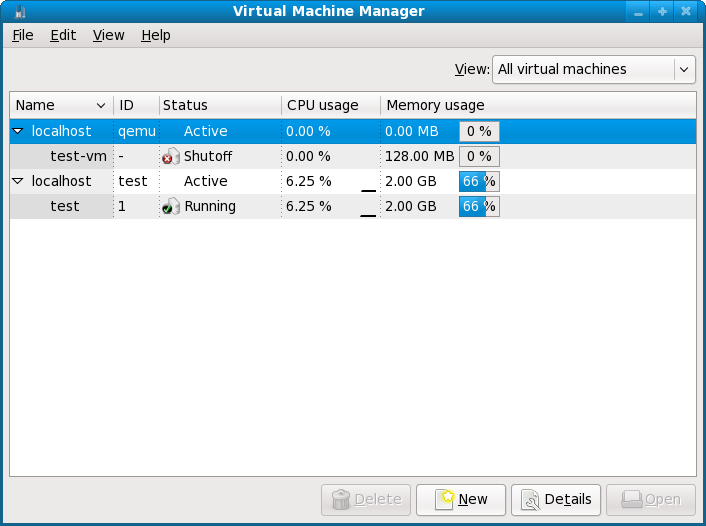 Live migration of virtual machine(s) from one host to another. Apart from the libvirt library itself, the libvirt package also comes with a very nice commandline tool called virsh that exposes libvirt API as convenient arguments. As you can probably guess from its name, virsh is a shell so if you can launch it without (command) arguments it will launch an interactive shell, awaiting your commands. While virt-manager has nice UIs for everything related to VM management, it still leaves the remote access of virtualized (guest) OS/desktop to tools that are tailored for that, such as VNC and SPICE. "In computing, SPICE (the Simple Protocol for Independent Computing Environments) is a remote-display system built for virtual environments which allows users to view a computing "desktop" environment - not only on its compute-server machine, but also from anywhere on the Internet and using a wide variety of machine architectures." SPICE was originally developed by Qumranet as a proprietary solution. Red Hat acquired Qumranet in 2008 and in December 2009 Red Hat open-sourced the protocol. The SPICE server that runs inside the Qemu binary as a library. Its mainly responsible for authentication of client connections, relaying of graphics output of guest OS to the client using a Qemu feature called QXL and relaying of user input (mouse and keyboard) from client to the guest. This is the tool that end-user should be concerned with. 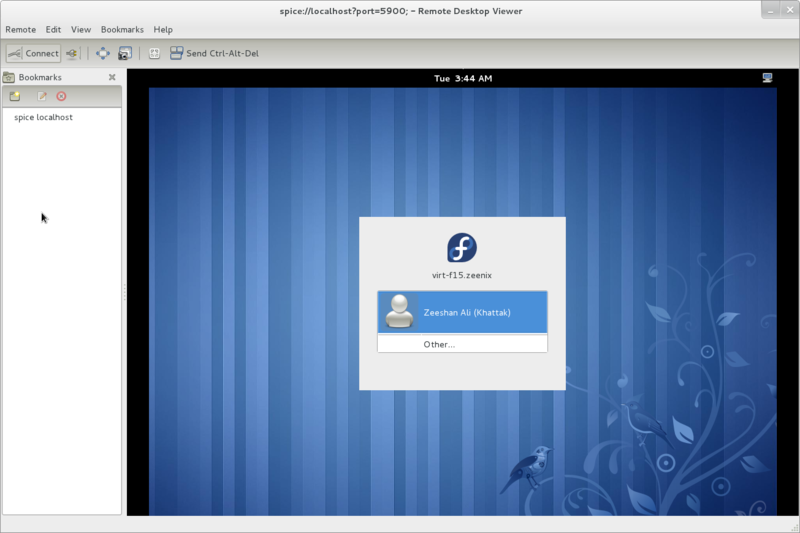 It provides a view into the guest OS (very much like the popular VNC).In the past there was only one SPICE client called, spicec. Due to various reasons (not embeddable, too low-level etc), it was deemed necessary to create a better client-tool. 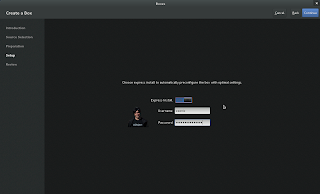 So for the past some months, our team has been working on a SPICE client Gtk+ widget called (surprise suprice) spice-gtk and helped in integration of it in vinagre (the GNOME remote-desktop client). I still haven’t used (or even built) spicec but from what I’ve been told, vinagre+spice-gtk are already much better than spicec in functionality so I guess I haven’t missed anything. Wait! Why am I telling you all this when I can just show you? Just to be very clear here, spice-gtk is nothing specific to vinagre so if you want to have SPICE integration in your UI(s), you can do it very easily using spice-gtk. Apart from the C API, it also provides gobject-introspection and Vala bindings. There are certain important tasks that spice-server needs to perform that it can not do so itself as it runs on the host rather than guest. A good example is copy/cut and paste between client’s host and guest desktop. For this reason, vdagent exists. Its a helper that runs inside the guest (and as such is installed from the guest). So making the copy&paste possible, it proxies the appropriate events to/from the SPICE client from/to guest windowing system through spice-server. 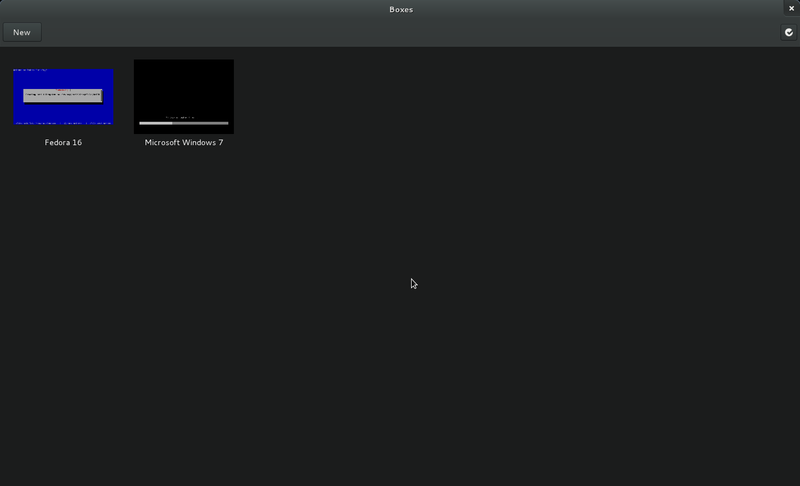 So while a VNC server reads frames from video memory and sends (compressed though) the updated areas (if any) to the client, spice-server on the other hand presents the guest windowing system with an X driver that captures X protocol operations directly. That is what makes SPICE a lot more efficient at network usage compared to RFB protocol that VNC uses. I am really not good at explaining things so I’m sure I must have left-out some necessary details but worry not! We have a team of awesome hackers who can always help you with any issues related to SPICE. You can reach us either through our IRC channel or mailing-list. 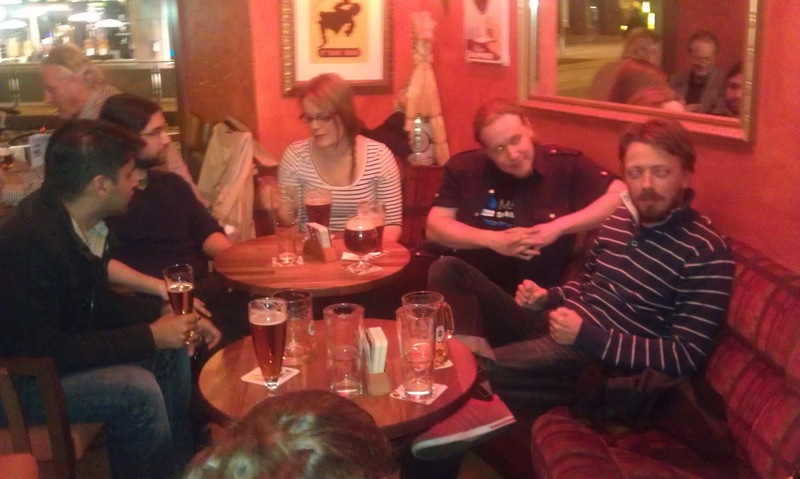 If you are attending the Desktop Summit 2011 in Berlin, you are in luck cause not only there is a talk about ‘Integrating virtualization into the desktop’ but also some of us will be attending the full duration of the conference so you can come and discuss with us in person. If you are interested in readily available products based on these awesome virtualization tools, I suggest you have a look here. Actually, currently SPICE can only be used to access virtualized desktops, though one of our team members is actively working to make it possible to connect to normal/real desktops. Now if you click on the URL provided, you will be taken to a page where there is a lot of information but the one you are looking for: What exactly changed? In this particular case, its just an bugfix release but many times new features are added and users can't know that unless you put that nicely in your release log. So please stop justifying your laziness and take the efforts to write the release log if you are a maintainer of a Free Software project. OTOH, if you are a downstream packager, please copy or link to the upstream release log in your package's changelog that upstream maintainer has put his/her time/efforts into. Thanks! When I bought this printer, I failed to find any Linux drivers for it. I must admit I didn't try hard to find them either since I was very much in a hurry at that time. Since then I had just assumed that drivers for Linux just don't exist. Ensure you have 'DefaultLanguage en_GB' line in your /etc/cups/cupsd.conf and your firewall isn't blocking Port 8611 for TCP/UDP. Get the drivers from here. The drivers are available as rpm and deb packages. Once you have the packages downloaded and installed on your system, find out the mac address of your printer somehow. The method I used was to watch for packets in wireshark and pinging the broadcast address of the network. Note that mac address bytes must be separated by '-' here rather than ':'. Your printer should now be installed and working! We just made our first stable releases of Rygel after many months of active development. 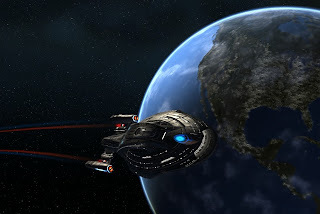 I used to post a blog entry after each release with the full-log but I stopped doing that because some people didn't like it going to planet GNOME and I thought chances are high that other viewer might also be getting annoyed by it. Lots of improvements to our interoperability with other DLNA devices in the market. Many optimizations to search, browse and streaming. More efficient and correct use of Tracker APIs. Simplified transcoding by use of new 'encodebin' GStreamer element. Preferences UI has been trimmed down to only provide a few options that users actually need. The plan is for this UI to disappear completely in GNOME 3.2 in favor of better (more integrated with rest of the desktop) alternatives. More configurability (through config files, commandline and environment) for power users. Ability to use Rygel as only a streaming server (without advertising it on the network). Ability to bind Rygel to specific networks by their ESSID or network IP address. Loads of random bug fixes. Port to more modern APIs. For example port from dbus-glib and GValue usage to GDBus and GVariant. Ever since I blogged about me looking for opportunities outside Nokia, I was contacted by quite some companies. Some of them ended-up giving me nice offers but in the end the offer that stood out amongst all was from Red Hat. So last evening, I accepted their offer to join the awesome Spice team. Red Hat being undoubtedly the leader in Open Source technologies for more than a decade has always been on my 'awesome places to work at some day' list. The Spice project that I'm being hired to work on is simply awesome. They offer good working conditions. I'll be staying in Finland and most likely working from home (unless I'm asked to work at the Espoo office). 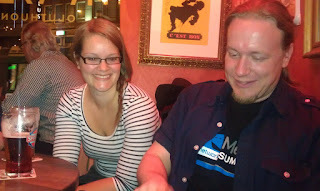 I will be officially joining Red Hat on May 2 and my last day at Nokia will be on April 21. Before you ask, nothing disastrous is going to happen to GUPnP and Rygel. Of course I won't be spending as many hours on these projects as now but keeping in mind that my first 2 years of work on both these projects was purely in my spare time, I think I'll still be able to keep these projects running. Perhaps now I'll be able to better focus on upstream needs rather than that of my employers (more like working around DLNA conformance test tool issues). Here is a decade of GStreamer hacking squeezed into 5 minute visualization using gource. Here is yet another version thats twice slower (and therefore longer), has the gloom off and filenames disabled and is in H264+AVI format. Oh and this time I managed to use GStreamer to record the video, rather than ffmpeg. I recently discovered this awesome tool called, gource. Using that I created a visualization of rygel's development history and uploaded here. Note that translation commits are missing. That doesn't mean I do not acknowledge or value those contributions but I had to exclude them because otherwise the screen was too crowded for viewer to actually see anything at all. Now that my company has decided to join forces with Microsoft, I am no longer certain of my future at Nokia. Although I would really like to stay until our MeeGo product is out at least since I hate leaving things unfinished but I don't see any harm in starting to look for other opportunities already. So like my colleague and friend, Alberto I have put my updated CV here. Feel free to send job offers or suggest any good open job positions to my inbox. always starts as part of the session. times-out and exits if there is nothing to share. (MediaExport backend) doesn't share anything by default. uses the MediaExport's DBus API to add/remove folders. 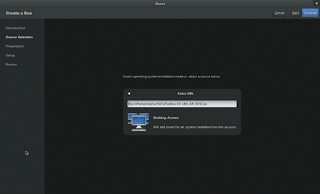 GNOME 3.0 is happening very soon and Rygel might not get its due fame in release notes (again) if there is no nice UI to impress the end users with. 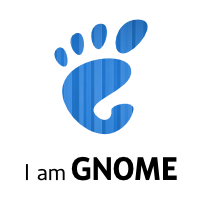 So if you want to help either Rygel or GNOME 3.0 project, here is you chance!